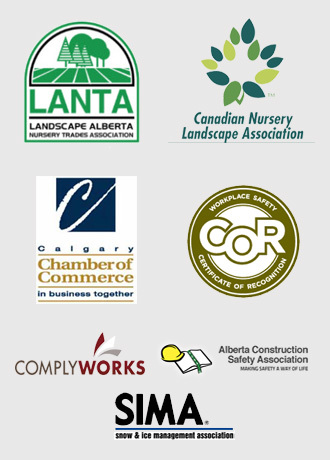 Water bills in the Calgary area tend to increase substantially in the summer. At Mirage Landscaping, we know that the bill could always be higher if not for the conservation savings afforded by built in underground sprinkler and drip irrigation systems. No matter whether you are a residential or a commercial property owner, you can benefit from a built in sprinkler system in two ways—by saving both your money and your time. 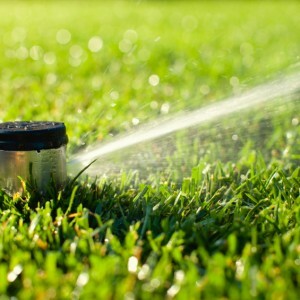 Though many do-it-yourself commercial and residential gardeners are very good about hand watering the grass and their plantings, most of us are prone to setting up a sprinkler and letting it run for a “good soaking.” The problem with soaking your lawn and garden is twofold, however: First, the soil only has a limited capacity for holding the water. Once you get past this capacity, you are literally running money into the street to evaporate without effect. Secondly, even if you time your watering just right to prevent wasteful run off, the plants themselves can only drink up so much moisture. While it is true that trees soak up more environmentally available water than do grasses and plantings, they too will not appreciably benefit from a daily deep soaking. In fact, trees that struggle a bit to find water generally develop deeper and wider ranging root systems than do ones with easy access to water. With the heat of high summer coming on soon daily watering will be the rule of the day if you want your commercial or residential landscaping greenery to survive the heat. There is no overestimating just how much easier it is to allow an automated and calibrated built in sprinkler system to handle this chore early in the morning, well before you’d even have to start your daily routine. The watering of plants and grass is at its most effective when done in the cooler part of the day, before 10:00AM. Modern sprinkler systems are routinely installed with sophisticated control units that can be programmed to deliver a set amount of water at a specific time in an amount tailored to the needs of the greenery being served water. Furthermore, modern systems can be run in zones, so as to account for the different watering needs of vegetation within the perimeter of the zone. In this fashion, perhaps the grass bounded by a sidewalk on one side and pavement on the other is delivered less volume than is the main lawn so as to not waste water that would fall onto the sidewalks and into the gutters. Another available money saving feature on automated sprinklers are “rain sensors” that allow the system to shut down for a scheduled watering if enough rain has fallen. If You’re Really A Conservationist. . . .
Then a micro-drip irrigation system might best suit your needs. Micro-irrigation has come a long way from perforated sprinkler hoses. In any application where precision is valued over area coverage, a micro-irrigation system with small diameter tubing and small sprinkler or drip units can be custom installed to meet your watering needs. Micro-irrigation further minimizes water losses through over application and evaporative loss, and is ideal for serving hanging planters, raised beds, and decorative boxes near doors and walks where a little water goes a long way and too much leaks and drips out. Micro based water delivery is also a good idea wherever you have mulch or other ground cover that might limit the penetration of your water inputs by pooling water where it more easily evaporates. 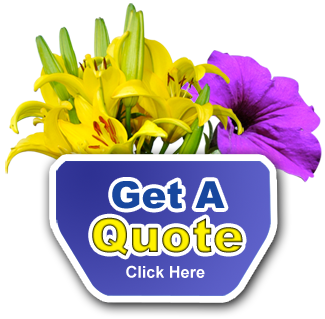 No matter your requirements for automated watering, from acres of grass to series of patio boxes, we offer free quotes on any size commercial or residential sprinkler or landscaping project. Will a sprinkler system pay for itself? That depends on too many factors to list here. Honestly, we can say this—once installed—we’ve never had anyone go back to hand watering.